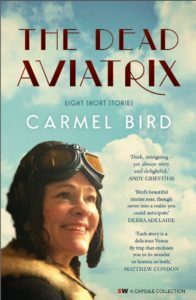 In 2016 the Patrick White Literary Award acknowledged Carmel Bird’s lifetime contribution to Australian writing. Carmel has been widely acclaimed for her seven collections of short fiction, as well as her nine novels and the many anthologies she has edited, including The Stolen Children and The Penguin Century of Australian Stories. Her most recent novel is Family Skeleton. 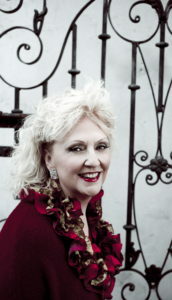 Carmel has always been keen to embrace new technologies, being the first Australian writer to have a website (1997), and the first to produce an interactive CD with her novel Red Shoes (1998). At the Festival she will release as an ebook her new collection of stories, The Dead Aviatrix. Carmel will also be running a workshop during the 2017 festival, on Friday November 3rd from 10am to 1pm. Click here for more information about the workshop, or here to secure your place now. Stay tuned for further 2017 program announcements for more information about Carmel’s session times over Satuday 4th – Sunday 5th November.